FIFA 10. FIFA World Cup South Africa 2010. Group stage. Matchday 3. Groups 5 and 6. There were a total of 4 German clubs that managed to get their way into the Round of 16 in the Champions League; this was a very good amount of clubs that were representing Germany as it showed why the German nation was crowned as the champions of the world after winning the 2014 World Cup. From those 4 German clubs, only 1 managed to advance into the quarter-finals as Bayern Munich is the only survivor that can continue competing in what is considered to be the most difficult European tournament for clubs. Bayer Leverkusen was defeated by Athletic Madrid, Borussia Dortmund was destroyed after losing 5-1 against Juventus and Schalke 04 couldn’t get past Real Madrid. Wolfgang Nierbach is the president of the German Football Association and he has stated that this is a sign of just how much teams have been improving and that the German teams have no time to rest if they want to continue being considered as the best in the world. Schalke 04 almost managed to create a huge upset and take out Real Madrid from the Champions League but with an aggregate score of 4-5, the German side just narrowly avoided to secure their qualifying ticket to the quarter-finals. 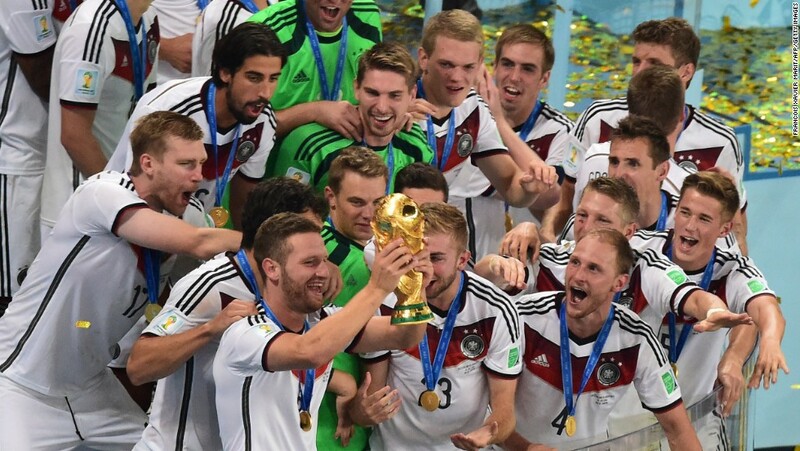 For the past years, Bayern Munich has been the team that represented Germany best at the bigger stages as the squad has 6 players which performed in the finals of the 2014 World Cup. Manuel Neuer, Bastian Schweinsteiger, Thomas Muller, Philipp Lahm, Mario Gotze and Jerome Boateng are those players.